Cervejaria Ramiro Review: What to Order, Menu + More – Discoveries Of. Cervejaria Ramiro is the Portuguese grande dame that has been serving up the best seafood in Lisbon since 1956. Check out my full review of Cervajaria Ramiro – what to order, menu and more. 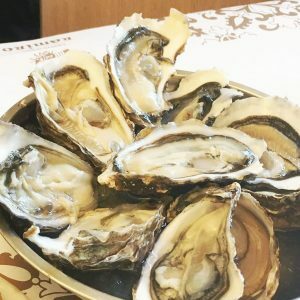 Cervejaria Ramiro: Lisbon’s Best Restaurant? What’s So Special About Cervejaria Ramiro? I wasn’t sure what to expect on my recent trip to Cervejaria Ramiro. Sure, my sources (and Anthony Bourdain) had told me that this was one of the best restaurants in Lisbon and hands down the best seafood restaurant in the city but I just wasn’t sure. 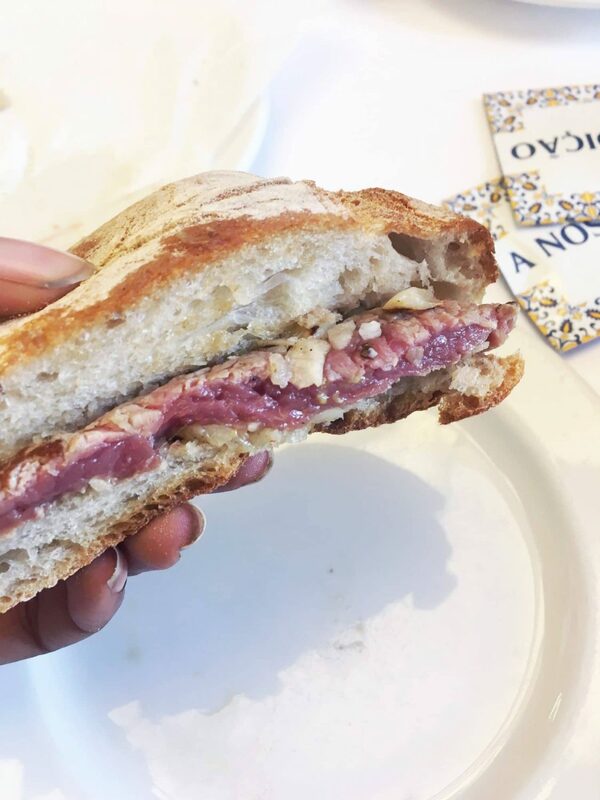 Lisbon’s food pretty much had me hooked – how much better would this restaurant be? How good would a place that called itself a Cervejaria (a place to drink beer) really be at serving up seafood? The answer is very, very good. I’m always happy (well not always) to put my hands up and acknowledge when I am wrong about a place. I was wrong to have doubted Cervejaria Ramiro. This was one of the culinary highlights of my trip and a must-visit for anyone visiting Lisbon. Looking for more Lisbon and Portugal travel inspiration? Check out these handy guides. Cervejaria Ramiro started off in the fifties as a casual place to drink beer. But when the founder started serving seafood, he found the Cervejaria grew in popularity. Before long, locals were coming to Cervejaria Ramiro as much for the seafood as for the beer – something that has continued through the decades and the generations. For many, Ramiro is seafood in Lisbon. We headed over to Cervejaria Ramiro late on a Sunday afternoon after our awesome sidecar tour of Lisbon (blog post to follow later this week). I had thought that we were being very clever by going fairly late in the day as it was less likely to be busy. Not quite – the first thing that told us this was going to be something a little different was the small queue outside the door to the restaurant. We dutifully joined and after about ten minutes were shown past the bustling tables downstairs to the (it turns out) huge upstairs section of the restaurant. The waiter handed us our menu. At first I just glanced down, then I looked again, and then I knew that this was going to be something special. 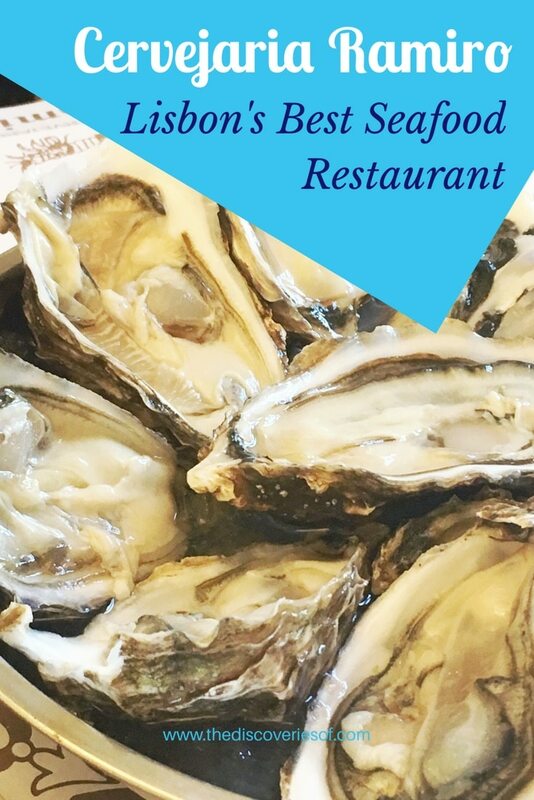 The menu is a seafood-lover’s dream: oysters, clams, prawns, lobster, crab, crayfish, goose barnacles – you name it, it’s on there. Cervejaria Ramiro’s menu is large, but the staff are more than happy to talk you through it and make recommendations. And of course, we needed something to wash them down with. I opted for a deliciously sharp Vinho Verde and J for one of the beers. Cervejaria Ramiro is also famed for it’s pata negra (black cured ham) – we didn’t get to try this but it comes highly recommended, particularly if oysters aren’t really your thing. Next up, we chose some clams in a garlic, butter and parsley sauce (Ameijoa à Bulhão Pato). The clams were incredibly fresh and full of flavour and the sauce so delicious that we used up the (very) generous portion of warm, crusty bread at the table mopping it all up. 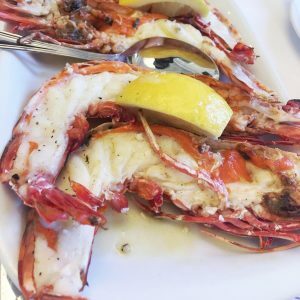 We almost always go for lobster in a seafood restaurant, but this time we wanted to try something a little different so we went for the grilled giant tiger prawns. Happy to say that was also a success. The firm meat was perfectly grilled, and came with a lemon to squeeze over it and nothing else. The dish was the perfect example of simplicity done well. Sometimes you don’t need lots of elaborate dressings or emulsions, you just need the very best quality ingredients to speak for themselves. That’s where Cervejaria Ramiro’s success truly lies: serving up the freshest seafood and letting it shine. The tables surrounding us were full of Portuguese couples and families having a casual Sunday lunch – one young kid in particular was relishing cracking open her prawns and tucking into the meat. Everywhere, people were talking, eating and generally having the kind of dinner that can be hard to find outside of home. What could be greater for a Sunday afternoon? The family of six across from us working their way through a few (giant) crabs, the couple next to us eating prawns in garlic – everyone seemed perfectly relaxed and very much like they were enjoying their food. Yes, that is a steak sandwich. The steak sandwich is the dessert to have at Cervejaria Ramiro. If you ask anyone “Hey, I’m heading to Cervejaria Ramiro, what should I order”, they’re bound to mention the steak sandwich. Of course, you can also choose from more traditional options like fresh fruit and chocolate cake too. But really, the steak sandwich was so tasty, it would be rude not to. When in Lisbon and all that. Cervejaria Ramiro is a busy restaurant but undoubtedly offers great service. Our waiter was happy to talk us through the menu and recommend how much of each thing we should order (the menu is priced by weight). He was attentive enough to notice whenever our drinks were low or our plates empty, but not so much that it felt like he was hovering over the table at all. Cervejaria Ramiro was excellent value – meal for two roughly €80. I definitely want to hit this spot on my trip to Lisbon in a few weeks, but I don’t eat shellfish! Do they have whitefish options?? Yes, as far as I remember they do have some fish options so you should be fine 🙂 I would check the dates though because they close for a month in the summer. Enjoy!